Our New Gothic Design Preforming, even at 7,500 feet above sea level. Enduring the harshest winter's of the mountain enviorment, located in Cotopaxi Co. 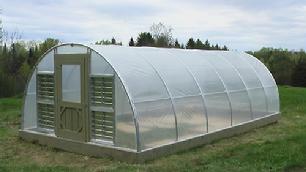 It is rare for a product to exceed expectations; the New Gothic Hoop House was the best gardening investment I made in 2014. It has held strong in spite of whipping mountain winds - up to 50mph - and heavy spring snow storms - up to 24". 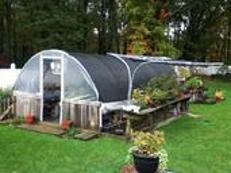 Thank you Carol and Loy and everyone at Lost Creek Greenhouse Systems. See my two photos below. Eliot Coleman Acclaimed & Noted Gardening Writer/Author Uses Our Hoop Benders. The tool arrived yesterday and it is beautiful. A French philosopher once commented, “You know you’ve achieved perfection in design, not when you have nothing more to add, but when you have nothing more to take away.” The best ideas and the best designs are the simplest and your bender meets that standard in every way. Thank you. 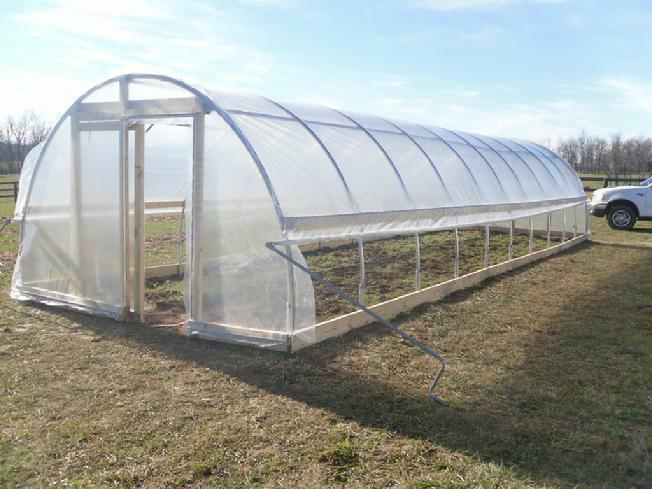 Carol Coleman Of Lost Creek Greenhouse Systems Demonstrates Assembling And Using Our Professional/Commercial Model PF-24 Greenhouse/High Tunnel Hoop Bender. We Offer The PF-Series In Four Hoop Width Sizes.